One of our most impressive and intricate designs. 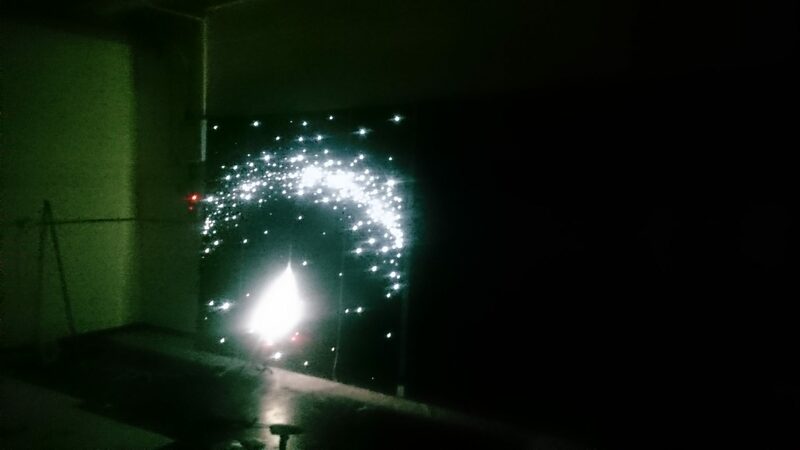 This is a perfect example of what we can do at Custom Fibre Optics. 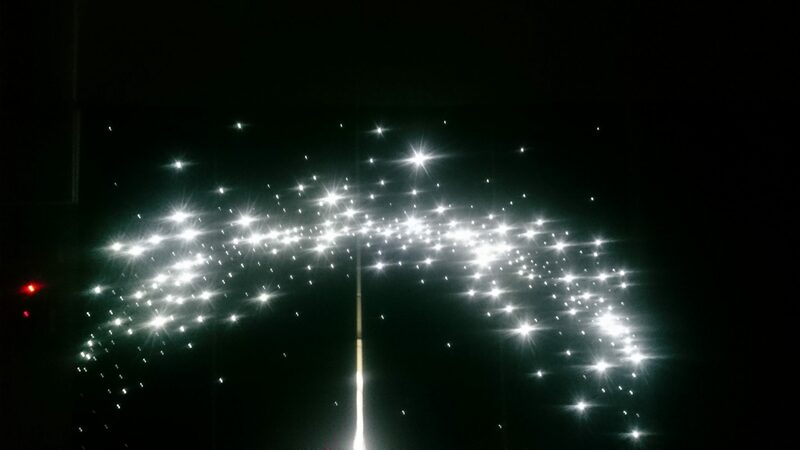 We can design and build a massive range of custom built lighting features and a favourite of ours is starry ceilings. Every now and then we get an interesting request like this one. 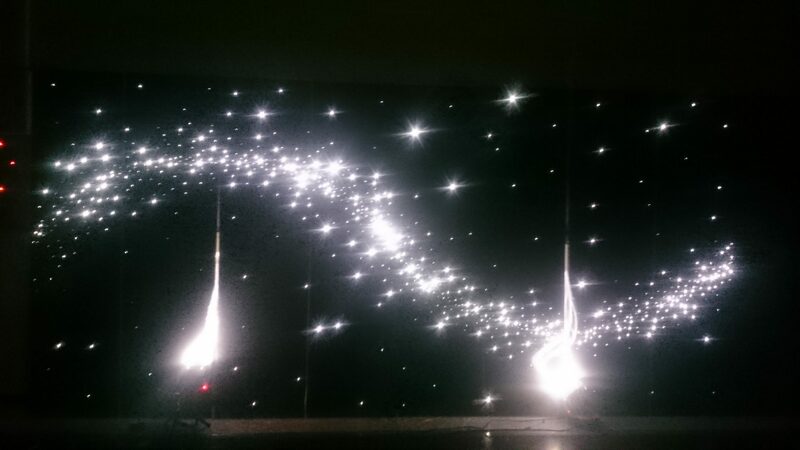 A massive stage up from a standard starry ceiling with a highly concentrated band of stars to create a eye catching wavy display. 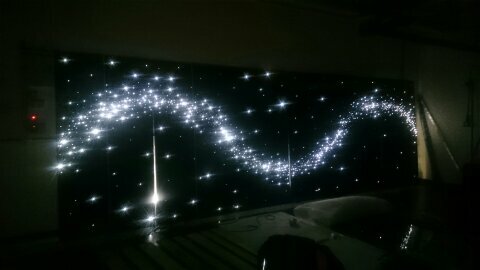 The client asked us if we were confident we could produce something similar with an amazing wow effect, we agreed. We were sent drawings and designs from the architect in charge of the work and we agreed on 8 x 4ftx7ft matt anthracite panels to cover a total of 32ftx7ft. 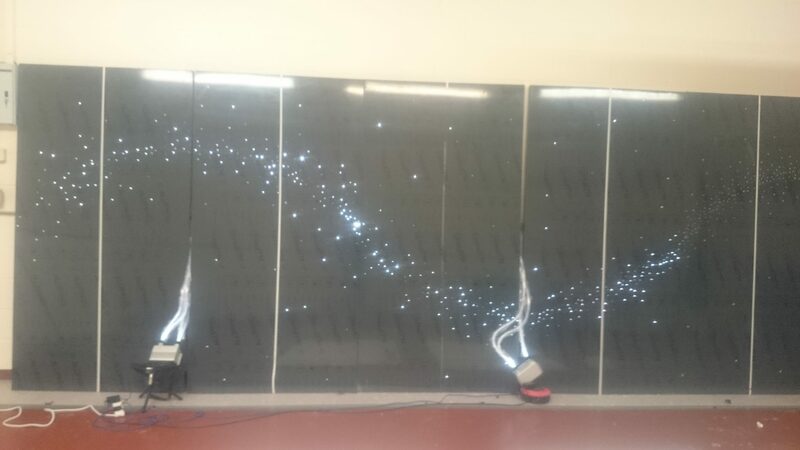 A few weeks later, over 1600 hand drilled holes, 9600m of fibre optics and 4 dual-head programmed led dmx light sources, we had everything ready to be shipped to the site for installation. 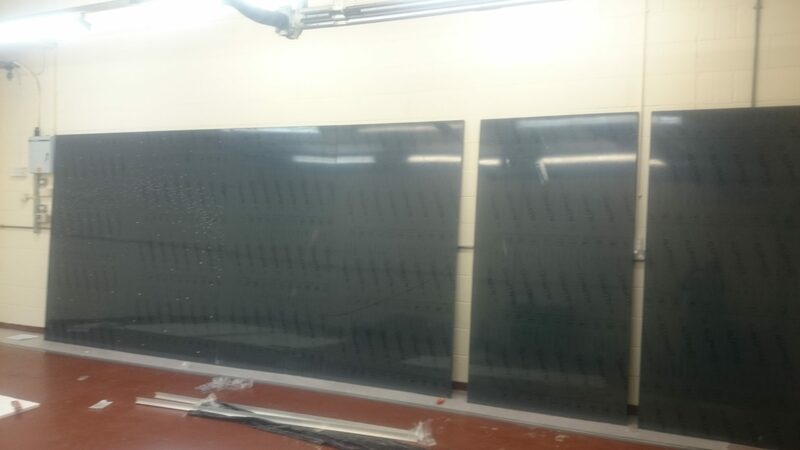 Here is some pictures of the manufacturing process, the photos only ever show 6 out of the 8 panels so its even longer than shown, out workshop wall wasn’t long enough to have them all lined up together. So, do you think we kept our word? Well the client loves it and we thoroughly enjoyed the full project ourselves. 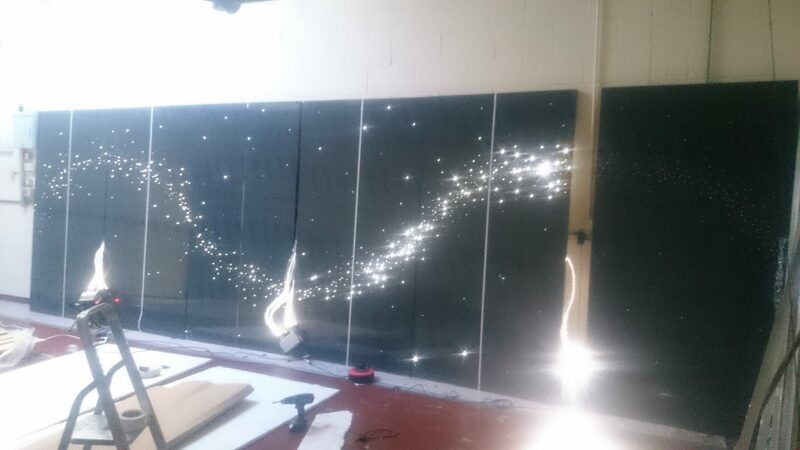 Cant wait to get the finished project photos, watch this space!